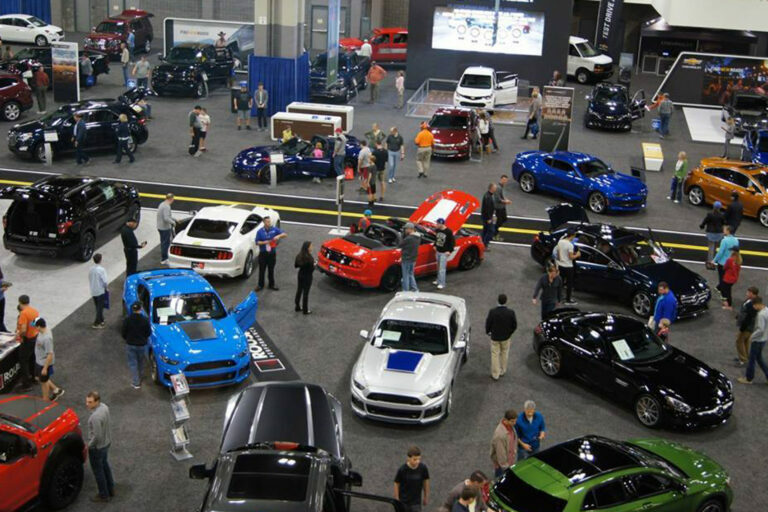 Last month, the Charlotte International Auto Show (CIAS) celebrated its 25th anniversary at the Charlotte Convention Center. From November 2nd through November 5th, attendees got an inside look at some of the best vehicles available, all under one roof. This year the show hosted more than 300 vehicle models from over 30 different manufacturers. Here's a look at some of the highlights. The CIAS kicked off on November 1st, with a Preview Night, benefiting all area YMCAs. Panthers Linebacker, Thomas Davis, was the special guest who shared how he gives back to the community through his charity, "Defending Dreams Foundation." Davis also signed autographs and participated in a Q&A for fans and car-aficionados alike. The four-day show hosted Ride & Drive events with Chevrolet, Mazda, Kia, and Toyota. This program offered consumers the chance to get behind the wheel of various 2018 models to take a spin. Other 2018 makes and models were available to view for those who enjoy cars or who are in the market for a new vehicle. One area, Luxury Lane, was reserved for over 15 luxury and exotic brands, all lined up in a row. Luxury Lane certainly had its share of traffic. The History of the Automobile display showcased the transformation of vehicles over time. From their early conception to cars of the future, attendees enjoyed learning about design changes, better safety, and improved technology. Attendees, both young and old, made sure to stop by the exhibit. Although families are welcome every day of the scheduled show, November 5th was set aside for Family Day. Special events for kids, including a visit from Santa Claus, live music, and face painting kept the younger guests entertained. Children 12 and under were admitted free with an adult. Not a bad way to spend a Sunday with your children! Profits from the 2017 International Charlotte Auto Show supported charities who actively give back to the community. If you didn't have a chance to go this year, be sure to put it on your list for next year. It's a great way to see different makes and models without going to individual dealerships. If you are currently looking to invest in a new or used vehicle and want to avoid the hassle of a dealership, reach out to AAA Auto Buying Service. Our automotive experts can help you find the car you want at a price you can afford, and hand deliver it to your door. Call 1-866-710-6226 to find out more today.